Supplying Energy Star Certified Windows, Doors & More! 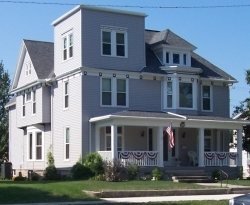 Rager Home Improvement has been providing the Van Wert area continuous service for over 55 years! Thanks go to the many customers over the years for their trust and confidence in us for their home improvement needs. Whether it is vinyl replacement windows, vinyl siding, insulated entry doors, or more, you can count on Rager Home Improvement to provide high quality materials, labor, and fair pricing! FREE ESTIMATES are scheduled day or evening without any sales pressure. 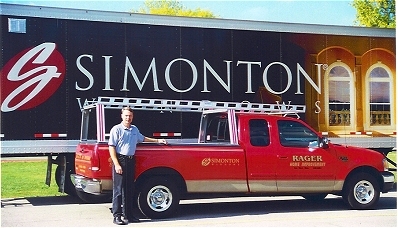 John A. Rager, owner, will come to your house for a Free in home demonstration and consultation. and other brand name companies. Just click on the supplier logos above to learn more about these quality products! Rager Home Improvement, Inc. wants to help you increase the investment in your home with energy saving and high quality products that will serve your family for years to come. Mastic vinyl siding, Simonton Premium insulated glass replacement windows, and Masonite doors, will not only save energy dollars over the years, but will improve the appearance of your home and increase its value! Van Wert's Address on the Internet!